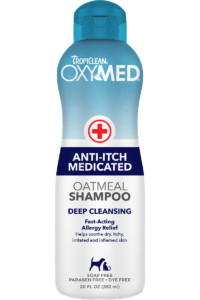 OxyMed Anti-itch Medicated Oatmeal Shampoo contains a gentle yet powerful combination of alpha hydroxy, beta hydroxy and tea tree oil that exfoliates the skin’s surface and penetrates deep into the pores to cleanse and help soothe dry, itchy, irritated and inflamed skin. This deep cleansing and deodorizing formula is enhanced to effectively moisturize and condition the skin and coat, while providing soothing relief from itching and allergies. SHAKE WELL BEFORE EACH USE. 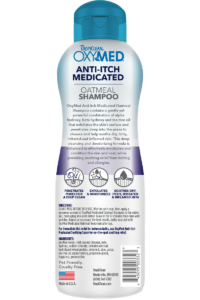 Wet the pet’s coat, then apply a generous amount of OxyMed Medicated Oatmeal Shampoo to the entire pet, massaging into a rich lather. Leave in for 3+ minutes then rinse well and dry. Repeat as necessary. 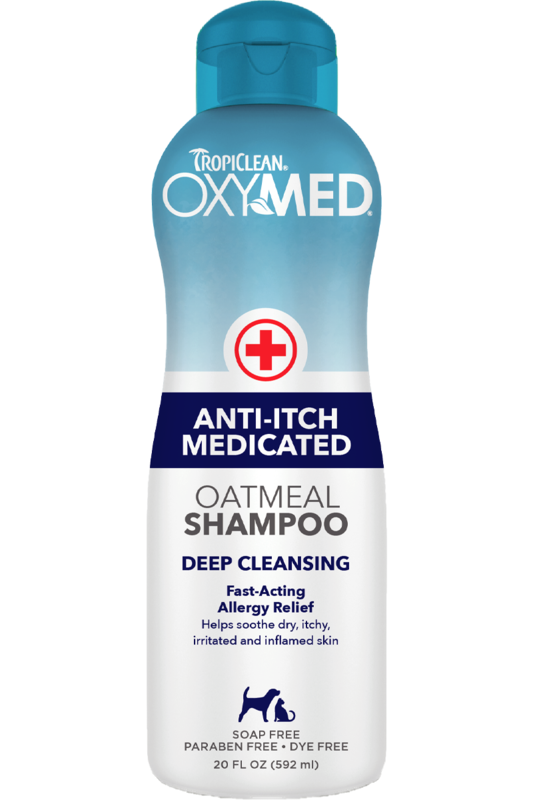 For best results, bathe your pet with OxyMed Medicated Oatmeal Treatment after use. For immediate itch relief in-between baths, use OxyMed Anti-itch Medicated Soothing Spray for on-the-spot soothing relief.